The Health Partnership between a patient and his practitioner is an essential component of healing, providing the support for the patient to participate in the m3health Program. This Program is intended for individuals who wish to assist the medical therapy that they’re already undertaking, whether orthodox, alternative or complementary. 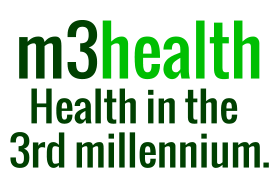 m3health has no opinion as to the suitability of treatments already undertaken by participants in the m3health Program, and is of the view that human biodiversity guarantees that some treatments work better for some people than for others. m3health is of the view that orthodox medicine deserves to be investigated thoroughly and be given the opportunity to work. The m3health Program is designed to be an adjunct to medical therapies and to be used concurrently with them. It is not to be used as a stand alone treatment for a medical condition. The participant is encouraged to discuss any matter which arises in the course of the m3health Program with his medical attendant or with any other person, should he wish. m3health encourages participants to undertake the Program in the spirit in which the convenors intended it be undertaken. This website is an ethical and serious attempt to improve the health and the life of each and every participant. m3health believes that this is self evident on any reading of the material. In a litigious society good intentions are not immune from legal action, and ethical and effective principles may be subverted. m3health therefore requests that if it’s unlikely you’ll allow m3health to be of value to yourself, and are instead inclined to pursue a legal remedy for your suffering, then you do not continue with the m3health Program. In this circumstance m3health is unlikely to be of assistance to you. It is expressly acknowledged by m3health that uncomfortable feelings and thoughts arise in the course of any true exploration “The Role of the Sufferer” and at these times participants may want to consult with their doctor and perhaps discuss engaging a face to face therapist, or seek other assistance. m3health leaves that decision up to the participants. I agree to take personal responsibility for participating in the m3health Program. I agree that I, and others acting on my behalf, will not hold m3health responsible for my suffering. You agree to defend, indemnify, and hold Runfox Pty Ltd, its officers, directors, employees, agents, licensors, and suppliers, harmless from and against any claims, actions or demands, liabilities and settlements including without limitation, reasonable legal and accounting fees, resulting from, or alleged to result from, your violation of these Terms and Conditions.